When I was on an artwork quest for my apartment in SF, one of the main places I kept coming back to was 20 x 200. In case you’re not familiar with this site, they sell editions of artwork by a whole host of great artists, at a range of different prices. $20 gets you an 8 x 10 print, $50 an 11 x 14, all the way up to the $2000 30 x 40 versions. The cheaper prints tend to sell out quite quickly so it can be worth signing up for their email list if you’re in the market for some inexpensive, beautiful art. 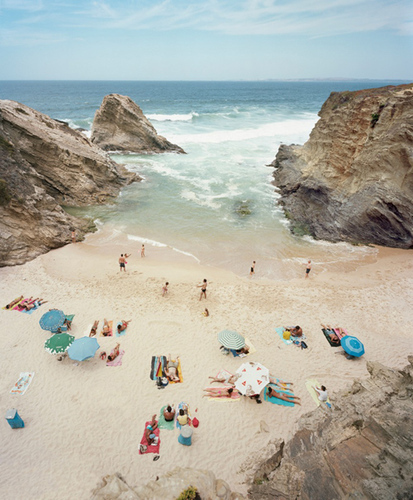 Some of my absolute favourites have been the beach series by Christian Chaize which seem to keep popping up everywhere. Praia Piquinia 06/08/09 14h01, available in the 24 x 20 version still. Another series I was (and still am!) tempted by is the Pretty Maps one by Aaron Straup Cope. I used to live in Paris and am now in SF, so both of these really resonate with me. Plus the colours are gorgeous! prettymaps (sfba) , still available in the $50, $200 and $2000 editions. 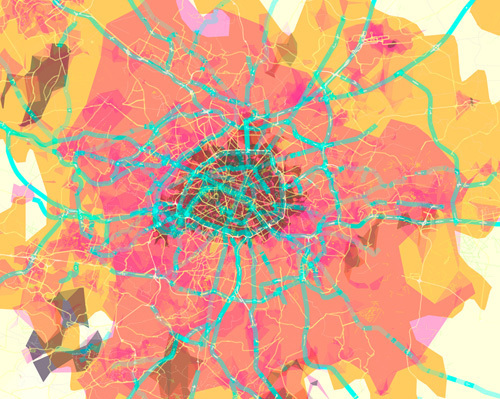 prettymaps (paris), also available in the $50, $200 and $2000 editions. I think these two over a desk area or something like that would be fab – plus I think it’s cool that you can see the completely different shapes of the two cities. And finally for some gratuitous cuteness, this print by Sharon Montrose, an über talented photographer who does amazing shots of all sorts of animals and birds. I love all of her work, she seems to capture the spirit of the animals she’s photographing beautifully. If you like her work as much as I do, you should also check out her Animal Print Shop. There’s a baby kangaroo print on there that’s so stinkin’ cute… This tiger is my favourite of her 20 x 200 ones though. 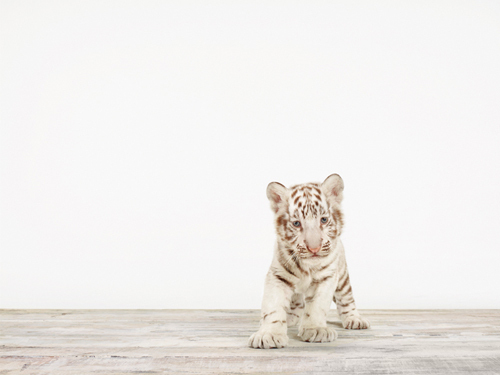 Baby White Tiger No. 5, available in the $50 and $1000 editions.